We were enjoying a slow hike in the Scottish Highlands. The Winter sun had already set in the afternoon. 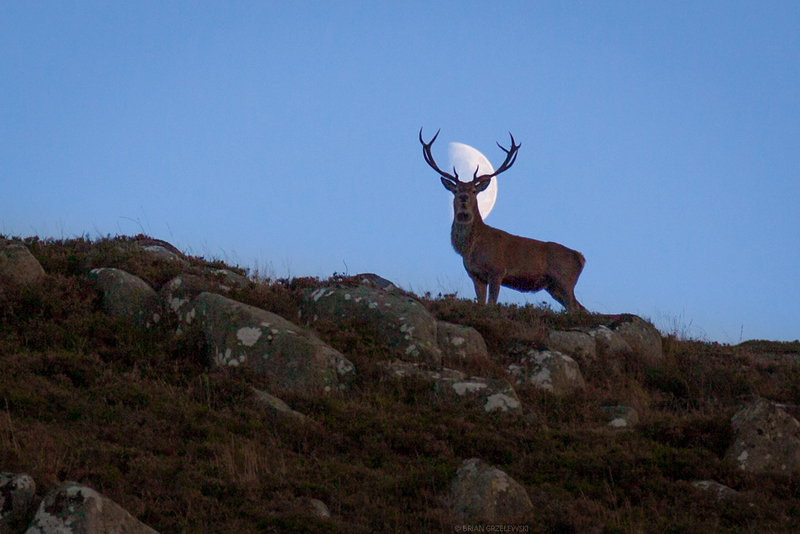 The moon was rising over a hill top when we noticed some deer relaxing and watching over the valley. As I got a little closer, a big buck jumped to his feet, startled. So, I shot him (with my camera) and brought him home for you to see.